Seneca College is a RECODE round-one funding recipient. 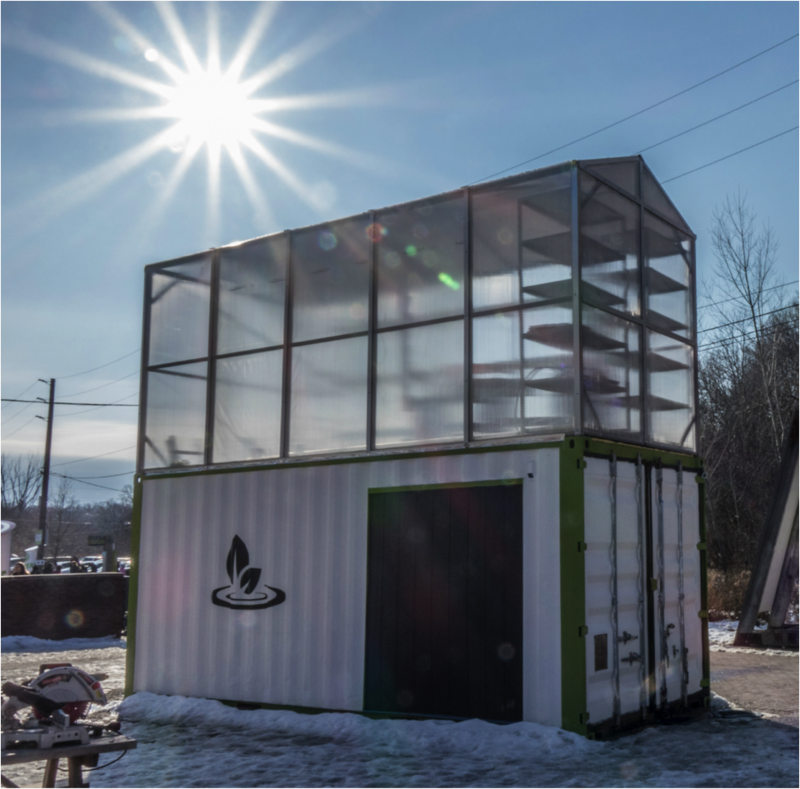 Read on to learn about the social innovation and social entrepreneurship activities and programs happening on Seneca’s campus. Read Seneca’s Letter of Intent for RECODE’s round one funding. Entrepreneurship is in the DNA of Seneca HELIX. 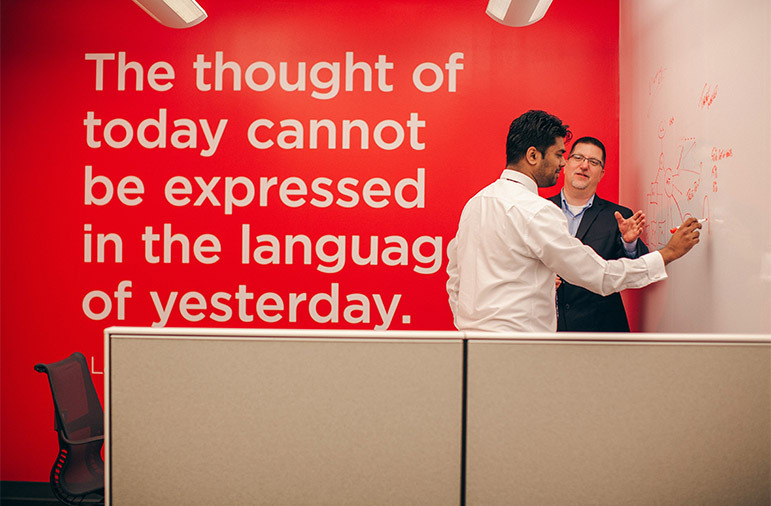 Launched in 2014, Seneca College’s Health Entrepreneurship and Lifestyle Innovation Xchange (HELIX) is solving real world challenges with venture and design thinking. They invite youth (between 18 to 29) to explore entrepreneurship and social innovation as a career option, and advance their venture ideas. HELIX supports entrepreneurship in all sectors, with a focus on the development of innovative health and lifestyle products and services. Program participants benefit from a collaborative environment where they can learn from each other, gain extensive knowledge from sector experts in a state of the art incubator setting, and have access to workshops, presentations, cross-disciplinary experiential events, technology, and mentorship. They also have the unique opportunity to pitch their venture idea and receive seed funding. 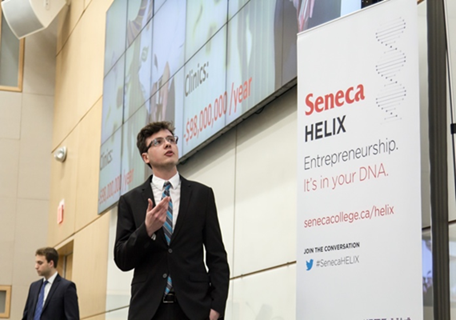 “HELIX is Seneca’s on-campus entrepreneurship incubator, that fosters innovation and entrepreneurship, and provides critical support to turn participant’s business ideas into successful, sustainable, and scalable start-ups,” says HELIX Director Chris Dudley. Participants in HELIX’s Innovation Strand take part in a series of entrepreneurial workshops and sector-specific support activities. The next step is the ACCELERATION Strand, which provides further opportunity for dedicated enrolment in HELIX incubation activities and mentorship. The HELIX program promotes creative ways of thinking, and encourages disruptive and innovative approaches to current business norms. In two years, 100 youth-led ventures have accelerated under HELIX — including one company currently valued at more than $4 million — and 296 HELIXers have completed their INNOVATION Strand series of workshops. Annually, approximately 122 young entrepreneurs complete the workshop series and 50 new ventures are supported. Since their 2014 launch, over 3,900 students and young entrepreneurs have engaged in HELIX-hosted innovation and entrepreneurial experiential opportunities. Seneca College is a founding partner—along with ventureLAB, York University and United Way Toronto & York Region—of communityBUILD, a program focused on developing a social innovation ecosystem in the York Region (and a recipient of our 2016 Civic Innovation Awards). At communityBUILD’s heart is a community of mission-driven entrepreneurs focused on addressing major social issues, whether on a local or global scale. Supporting that community are the resources and supports created from the networks and knowledge of the founding partners. On October 15 and 22, 2016, Seneca hosted Blueprint: Affordable Housing, a program stemming from the communityBUILD initiative. The original communityBUILD partners were joined by Centennial College, Durham College, York Region, Ontario Ministry of Housing, Evergreen GTA Housing Action Labs, TranQuant, and the J.W. McConnell Family Foundation to deliver the first annual two-day ‘design lab’ workshop utilizing human-centred design processes to address a social issue affecting the York Region. Blueprint’s 100 participants included community members, post-secondary students, and the York Region District School Board (YRDSB). Moving forward, a new local priority, such as youth unemployment or food insecurity, will be selected as the focus. Seneca HELIX is a founding partner of Y2, a program helping high-school students learn about business and social innovation through formal workshops (design thinking, building an investor pitch), and mentorship and coaching from entrepreneurs. The Y2 program has helped more than 100 innovative and entrepreneurial teens accelerate their personal development, and engaged more than 60 volunteer entrepreneurs from the Greater Toronto Area and York Region. HELIX will host Y2’s third event February 25 and March 4, 2017. Launched in 2015, Seneca ENACTUS allows students to contribute to society through social innovation. At the 2015 ENACTUS Canada Central Region competition, Seneca’s team won the “Top Developing Team” award in the TD Entrepreneurship Challenge, where they were up against teams from Centennial College, McMaster University, University of Waterloo and Université de Sherbrooke. Through the team’s CODEpreneur program members teach creativity, problem solving and coding skills to local grade 6-8 students. The Enactus team meets regularly in HELIX, Seneca’s on-campus entrepreneurship incubator. In September 2015, working with Seneca HELIX, Co-Founders Bojana Nedic, Ian Lenihan, and Andrew Colterjohn launched Pearl’s Choice—Canada’s most comprehensive senior living resource to support families searching for retirement communities. They offer free, impartial and unbiased information and resources to help people find the right retirement community with ease and confidence. The company has grown to a multi-million dollar valuation in less than one year’s time. Travis Clements-Khan, Founder and CEO of NextGen Labs and former Seneca HELIXer, is providing food allergy and intolerance suffers a needed a way to monitor and test the food they consume for allergens through the development of a consumer oriented diagnostic tool. In 2015 Travis won the EuroPITCH and a place in the European Innovation Academy where he pitched a complementary idea to his diagnostic tool—a social platform where food allergy sufferers can connect. Read our interview with Travis. Ripple Farms is on the leading edge of agritech innovation in Ontario. Their growing nodal network of Ripple Urban Farms seek to inspire future generations while creating real change in our communities. This urban farming venture provides higher densities of output (8 times that of traditional farming), and is operational 365 days a year. Through HELIX, Paulo Meneghel and Alexandru Horghidan developed and launched EMERGE, a solution aimed at making hospitals, urgent care centres and clinics more efficient by providing them with the health information of incoming patients before they arrive. The solution reduces overcrowding in hospital emergency rooms by redistributing patients among hospitals and walk-in clinics, and allows hospitals to better prepare and better manage patient flow. Ultimately, this leads to better patient care. EMERGE recently won a CICan Entrepreneurship pitch competition and has signed an MOU with a local hospital. 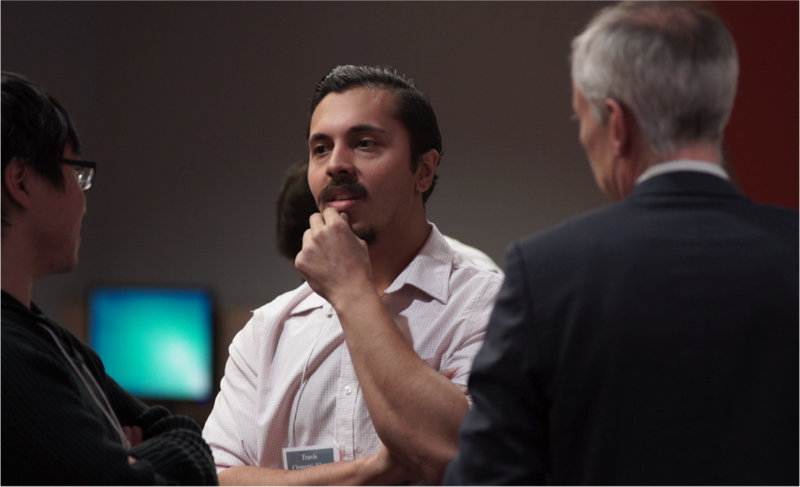 Paulo competed in and won Europitch 2016, from which he went on to compete in the 2016 European Innovation Academy placing in the top 15 out of 600 participants. They have also been selected to participate as one of twelve Canadian companies to pitch live at the 3rd annual Canadian Crowdfinance Summit from Feb 28 – March 1, 2017. The Globe and Mail, February 23, 2017. StartUP Toronto, October 25, 2016. The Star, February 25, 2016. Office of the Premiere, February 5, 2016. The Star, October 19, 2015. The Globe and Mail, November 10, 2015. Office of the Premiere, September 23, 2014.